Can Consolidating Your Mortgages Save You Money? Combining your first and second mortgages into one can save you money if you do it right. Here are some smart, money-saving tips to be aware of when you submit a loan application to refinance and consolidate your mortgages. When you apply to refinance your home with the intent of financing more money beyond the balance of your first mortgage, your total loan amount could fall into being categorized by your lender as a cash-out refinance, even if you are not pulling funds at the closing table. The reason consumers should pay attention to this is because when you do a cash-out refinance, the loan costs more. There are two types of refinances: rate and term refis and cash-out refis. If your goals for refinancing include shortening your repayment term and/or reducing your mortgage payment, then your loan is generally considered to be a "rate and term" refinance. However, if you are cashing out any equity (including a second mortgage you obtained after you bought the home), paying off debt or pulling funds out for any other purpose, your loan will viewed as a "cash-out" refinance. Cash-out refinances cost .375% more in loan pricing, which can impact fees and terms and have tighter equity requirements. For a cash-out loan of $400,000, for example, a .375% adjustment to the pricing would mean your $400,000 loan would cost more. Specifically, $1,500 more based on the loan amount ($400k x .00375) than if your purpose was rate and term. Here are four ways to get a cheaper refinance. If you bought your home with both a first and second mortgage — for example, with an 80/10/10 loan where you put down 10%, got an 80% first and 10% second mortgage — as long as the first and second mortgage were used to specifically acquire the home and you are now looking to refinance the first and second mortgage into one, that loan will always be considered a rate and term loan as long as your intention is to not extract additional monies out beyond the debt owed. 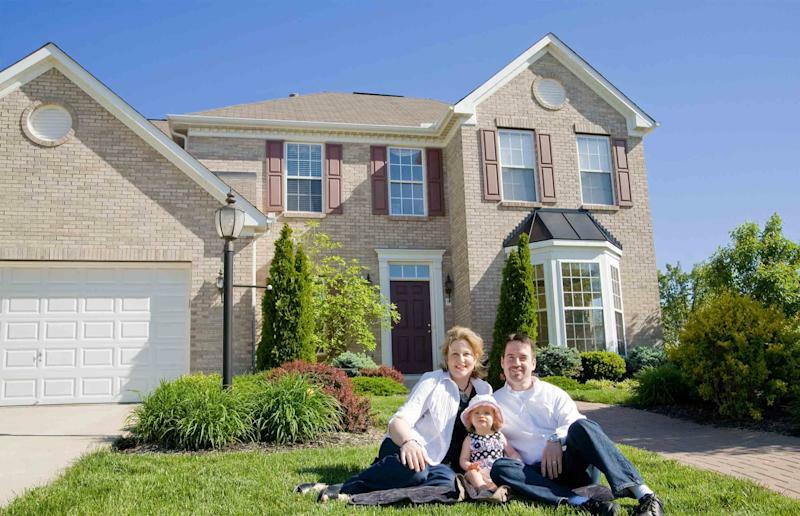 The Federal Housing Administration will allow you to combine a first and second loan into one as a rate and term refinance and will finance up to 97% loan to value on big loan amounts. In Sonoma County, Calif,, for example, the max FHA loan limit is $554,300. Depending on your financial circumstances this could be a savvy approach to take, especially if your equity is limited. In most U.S. counties, $417,000 is the conforming loan limit. If your first and second mortgage total is bigger than $417,000, and is considered to be a cash-out refinance because the second mortgage was used for some purpose other than buying the home, you will generally need at least 30% equity in your home (in some cases more depending on your credit score and property type). You can check your credit scores for free on Credit.com to see where you stand. However, there are some jumbo investors in the market that will do a rate and term refinance all the way down to a loan size at $417,000 or bigger. This can minimize the impact a cash-out refinance could create depending on your equity position and financial profile. Be sure to check with your mortgage company for their specific jumbo investor guidelines. Many lenders will combine a first and second mortgage into one as a rate and term refinance even if the second mortgage was taken out after the original loan was made (for home improvements, etc.) as long as the second mortgage has no draws in the past 12 months. If you fit that requirement, the needed equity position drops to 20%. The devil is in the details. No draws in the past 12 months on your second mortgage could make all the financial difference for you. Not sure if your loan will be considered? Talk with a mortgage company. You might find a lender, a bank and a credit union to be far different from each other in terms of what can or cannot be done. If you're looking to save money, you owe it to yourself to check on this continually, especially if you've been turned down in the past. Check every few months. You might just find you actually can get your loan done after all.